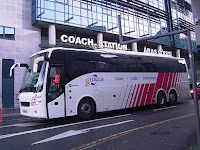 The Better Transport for Galway Committee (previously known as Galway Transport Forum) are running a follow up survey about traffic developments in Galway over the last 12 months. It is short (4 questions with about four parts in each): it takes about 5 minutes to do. They survey is anonymous, and you don't need to log in. Click here to have your say.